Ísland er stórasta land i heimi. September 2008. 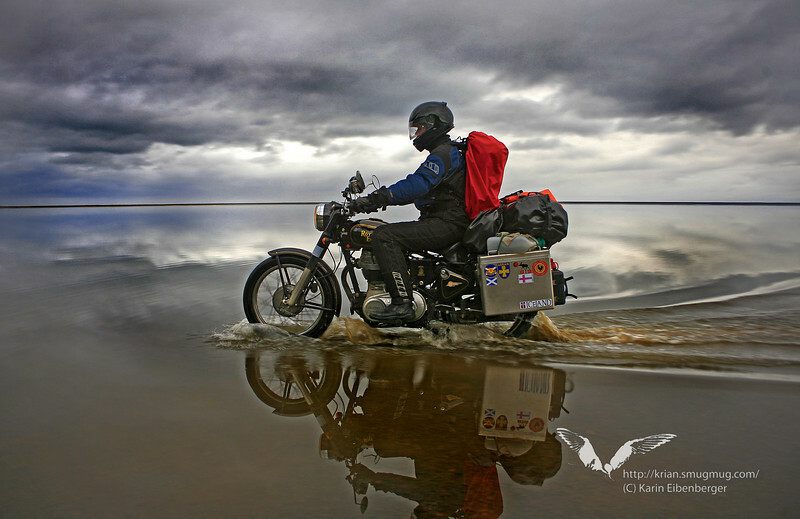 Bernhard riding through the North Atlantic ocean in south Iceland. It was a bit hard to find the track. And a bit slippery too, causing wet toes for the photographer.